Amlodipine is one of the medicines used to treat hypertension, also known as high blood pressure. It may also be used to treat people with chest pain (angina) due to either narrowing (angina pectoris) or rare cramping (variant angina) of the blood vessels of heart muscle. Amlodipine is an active compound. It is classed as a calcium antagonist or calcium-channel blocker. Calcium is required for contraction of muscles in blood vessel walls; so it enters the cells through calcium channels. Amlodipine works by reducing calcium entry into cells in the walls of the heart and blood vessels. This causes relaxation of blood vessels and heart muscle. Such relaxation of blood vessels causes blood vessels to dilate and blood to flow without difficulty. In hypertension, this helps by reducing blood pressure; in angina, this allows heart muscle to receive more oxygen (which is transported in the blood) thus preventing chest pain. Can I get Amlodipine online? The Online Clinic can prescribe Amlodipine if you have been prescribed this medication previously and you are stable on it. 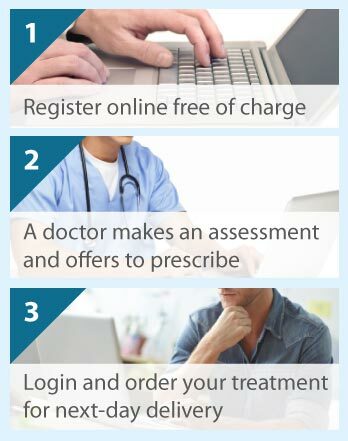 Please complete our quick online consultation to receive a prescription. Amlodipine has several formulations; you may have Amlodipine besilate, maleate, or mesilate monohydrate. It is available as 5 mg and 10 mg tablets and as a 1 mg/ml or 2 mg/ml oral solution. For adults, the starting dose is usually 5 mg daily (but could be 10 mg daily. If you are over aged 65 years, take special care with dose increases. If you have kidney or liver problems, then your doctor will review your suitability for this medicine and your dose. Take the medicine until your doctor says stop. Swallow your tablets with water. The oral solution is provided in a bottle. Basically, you fill the syringe with the amount of solution that you have been prescribed by your doctor. You then put the syringe end in your mouth, and slowly push the plunger back in, which dispenses the medicine. Full instructions are provided in the patient leaflet that comes with the medicine. You can take your medicine before or after meals, but should have it with a glass of water at the same time daily. You should not drink grapefruit juice, as this will increase their effect of Amlodipine and increase the risk of side effects. If you forget to take a dose of Amlodipine, then take it if you are under 12 hours late or miss it altogether if you are over 12 hours late; take the next dose as planned (do not take two doses). Taking too much medicine requires medical attention, as your blood pressure may drop too low. You must not take this medicine if you have an allergy to Amlodipine, other constituents in the medicine, or other calcium antagonists. It should not be taken by pregnant or breastfeeding women (discuss planned pregnancy with the doctor) or given to children under 6 years of age. Conditions including cardiogenic shock (your heart does not pump sufficient blood throughout the body), heart failure (following a heart attack), aortic stenosis (aortic heart valve narrowing), unstable angina pectoris (chest pain when resting or with least possible effort), and very low blood pressure. People with hypertensive crisis (severely raised blood pressure) must tell their doctor. While very rare, stop taking this medicine and seek medical attention if you have the following symptoms: difficulty breathing; swelling facial features, tongue, throat, and mucous membranes; skin reactions (these can be particularly severe) such as rash, itching, and blistering; chest pain, heart attack, heart beat abnormalities; and feel unwell with stomach and back pain (possible pancreatitis). Swollen ankles are very common with this medicine; should this last longer than a week or cause problems, see your doctor. Often people report feeling giddy, sleepy and weak, headaches, flushes, visual disturbances, palpitations, and gut disturbances (e.g., nausea, stomach ache, diarrhoea, and constipation). While uncommon, some people experience sleep and mood changes; trembling, tingling or numbness of the limbs; inflamed nasal mucosa, dry mouth, cough; sweating; chest, back, muscle, and joint pain; angina aggravation; swollen breasts or breast discomfort; disorders or changes in urination; and skin itching and discolouration. Rarely, Amlodipine causes confusion, and very rarely: changes to blood cells and platelets, high blood sugar levels, inflammed blood vessels, changes to the liver (i.e., function, inflammation, and blood liver enzyme levels), yellowy skin, tension in muscles, and movement problems.